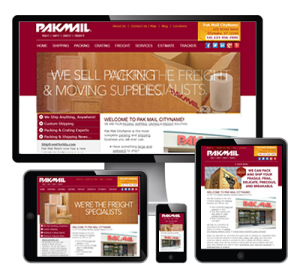 Pak Mail on The Parkway is proud to announce we have a new responsive website. What that means, is you can now request an estimate, track a shipment, and read all about our services on your phone, tablet, or computer. We offer packing and shipping, but that’s not where we stop. We also do custom crating and freight shipping, as well as a variety of convenient services like mailbox rental, document shredding, copy and fax, and much more. Stop by during regular business hours or send us a message 24/7 for more information.